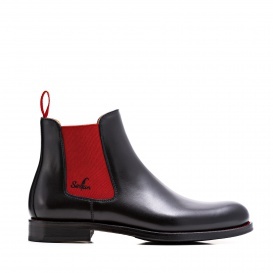 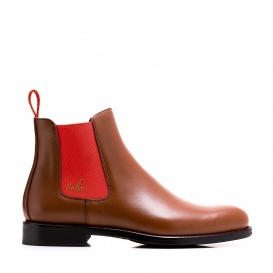 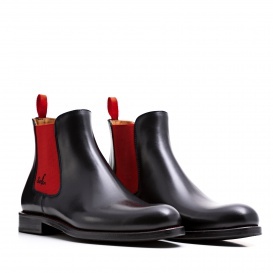 The black and elegant Chelsea Boot with red elastic bands, enhances the happiness and creativity of his wearer. 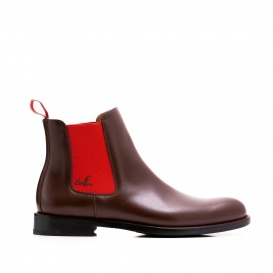 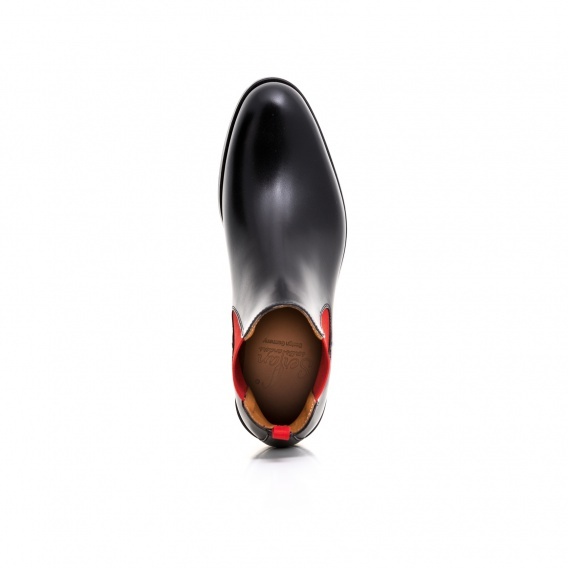 Red makes the design of the dark shoe more casual and spreads a good mood. 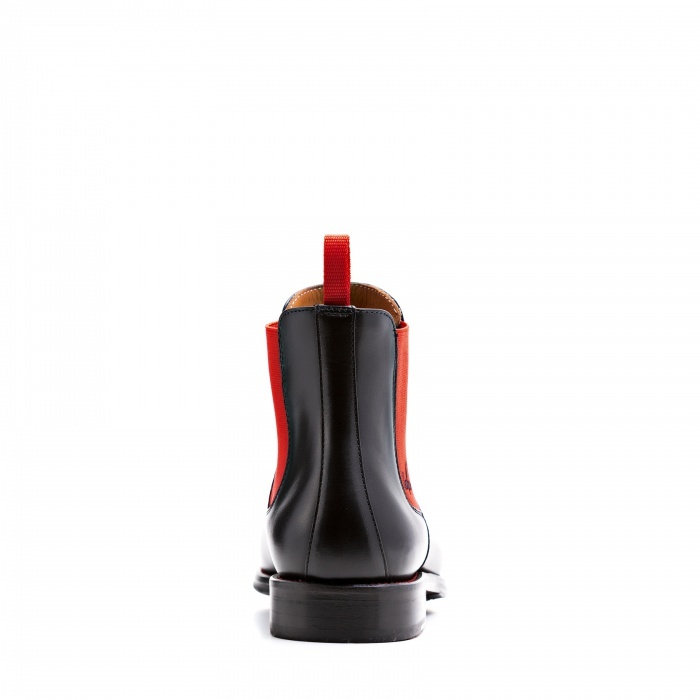 The energizing color gives you more power and brings fun to every joyless day. Regarding wearing comfort and fit nothing can beat our Chelsea Boot thanks to the elastic bands on both sides of the boot. 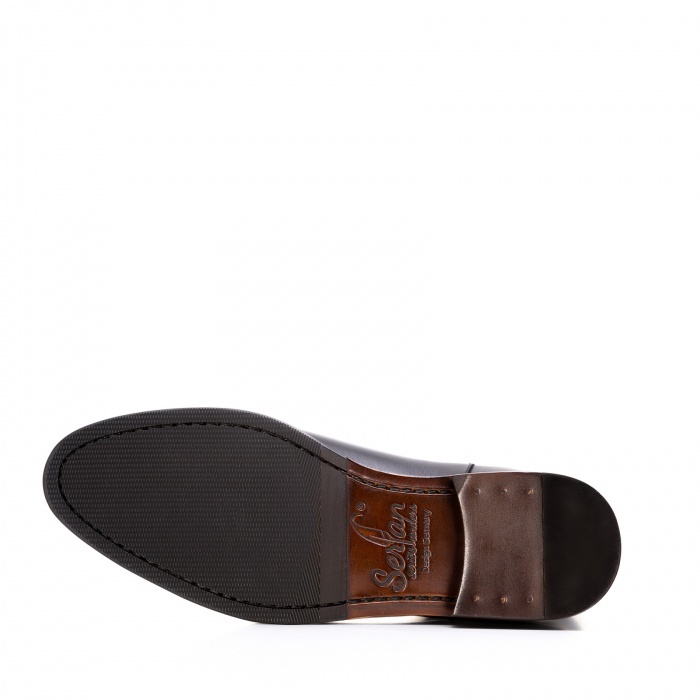 Combined to a casual jeans or a slim suit pants your daily way to work becomes your personal catwalk.